These are just a few of our placemat bingo card designs that we have done for others. 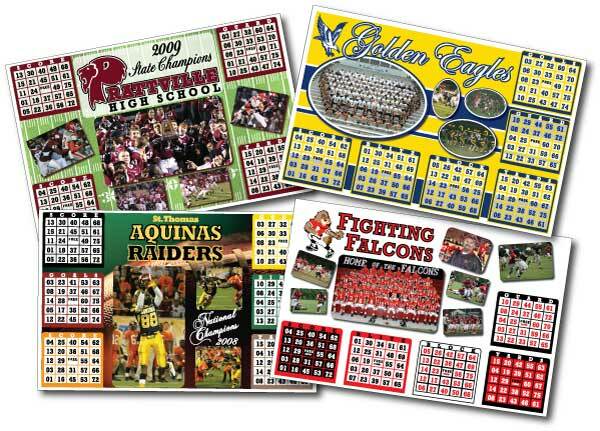 Call us to receive a price quote for a custom placemat bingo card design, just for you with your logo, crest, or whatever else you may choose to have printed on your card. Standard size for custom placemat bingo cards are 11" x 17". However if these are not to your liking, give us a call and allow us to design a size and shape that is all your own.